As everybody should know by now, jazz is enjoyed and appreciated worldwide. That said, this album hails from a country that doesn’t yet have a big reputation in our genre of choice. That’s something of an oversight; although mainstream American jazz fans likely couldn’t cite artists who hale from Scotland, several of our premier musicians proudly call that country home. One celebrated Scottish jazz musician is saxophonist, composer and arranger Tommy Smith. Smith’s father, also a jazz buff and drummer, started his son on sax when he was 12 years old; he was only 16 when he released his first recordings with a quartet. During that same period, Tommy earned a scholarship to Boston’s famed Berklee College of Music. Just two years later, thanks to a recommendation from Chick Corea, he joined Gary Burton’s group on a world tour. By the late 1980s, and into the early ’90s, Smith’s style had morphed into a more classical, concert-oriented approach. He composed “programs” based on music associated with famous jazz artists; he also formed his own recording company, Spartacus, so he’d have more control over his material. This combination of classics and jazz was quite popular, and drew major crowds at concerts throughout the world. This album features 18 individual segments that are identified by tunes that Ellington and his cohorts — specifically Billy Strayhorn — composed, played and made famous, over the years. These are blended in a manner that tells the story of these individuals. As a result, many of the tracks herein are relatively short — averaging 3 minutes — but everything flows beautifully. The orchestra as a whole is first-class, as are the individual musicians featured as soloists. It’s like an evening at the theater, and it swings wonderfully. 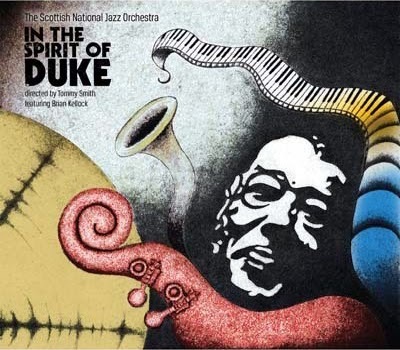 If you enjoy Ellington, you’ll love what Smith and his Scottish National Jazz Orchestra have produced. 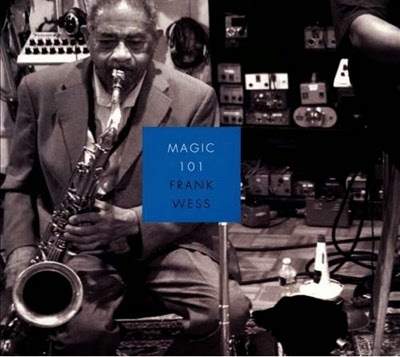 Every true jazz fan, particularly those who were part of the big band years, is familiar with Frank Wess. This tenor sax master was born in Oklahoma, all the way back in 1922, and he’s still active ... as this wonderful album clearly demonstrates. Wess began his music career in high school, initially playing tenor sax and classical music; he turned to jazz after his family relocated to Washington, D.C. He was playing with big bands by the time he turned 19. After an interruption for World War II service, he joined Billy Eckstine’s band, returned to school at D.C.’s Modern School of Music, and earned a degree in flute. He was hired by Count Basie in 1953, an association lasted until 1964: an almost unprecedented period of time for a jazz musician. Not many reed artists doubled on flute during those early years, and Wess won Downbeat’s critic poll for that instrument from 1959 through ’64. He also added the alto sax to his horn arsenal during that period. From a talent standpoint, he’s ageless. Most artists get stuck in a time slot: They’re remembered for how great they were during a particular period. That’s not the case with Wess; as jazz has advanced over the years, so has he. Although still famous for his association with Basie, Wess also is noted for his contributions to modernists such as John Coltrane, Toshiko Akiyoshi, Thad Jones and John Pizzarelli. Wess is in his 90s, and one can only hope he lives forever. This is, simply, the best jazz album I’ve heard in years. Don’t miss it! 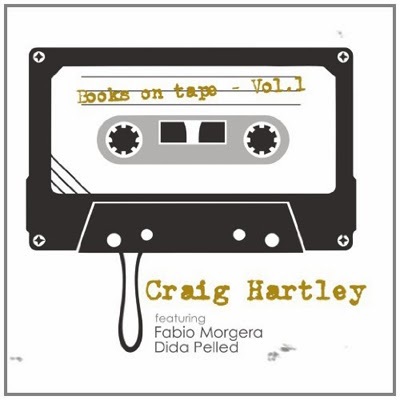 This is the debut album from 31-year-old pianist/composer Craig Hartley, although he’s well known around the New York City area. He’s another highly educated musician, having attended the Manhattan School of Music, New York’s New School, and Hartt Music School, in Hartford, Connecticut. He has worked with many of the well known Big Apple artists, and has performed in most of the city’s jazz clubs. All but one of the tunes on this release are Hartley compositions; the one exception is “My Foolish Heart.” Aside from a couple of up-tempo swingers, the majority of the melodies are done at medium and balladic meters. His style evokes Bill Evans and Chick Corea, and it’s interesting to note that Hartley himself (on his own website) identifies his genre as classical, rather than jazz. That said, the first track here is a spirited and swinging tune he calls “Dial 411” ... and if that isn’t true jazz, I don’t know what is. Liner notes provide background comments for each of the nine tunes. Hartley and the other two members of his trio are excellent musicians: Bassist Carlo De Rosa is stunning on his instrument, and drummer Henry Cole is extremely tasty. Trumpeter Fabio Morgera, featured on two tracks, also is first-class. Unfortunately, the same cannot be said of the audio mixing and mastering. On several tracks, the volume of Hartley’s left hand overwhelms that of his right; this is particularly evident at slower tempos, and it tends to mask his marvelous melodic lines and solo work. Hartley and his group are a force to be reckoned with, and their future looks bright. As jazz has progressed over the years, the use of guitar has changed significantly. Initially, melodic melody lines most often were done at slow tempos, in concert or ballads. A “strumming” technique was used for faster arrangements because, at the time, the facility of the musicians — and the design of the instruments — didn’t allow for high-speed single-string techniques. The guitar was used more as a part of the rhythm section, rather than as a solo “horn,” and when solo passages were taken, the multi-string style predominated. But that hasn’t been the case for years. 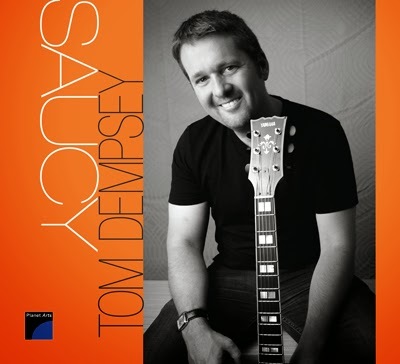 Tom Dempsey is one of today’s elite single-string artists. He has played with numerous top-drawer groups and musicians and, like so many of them, he spends more time teaching than performing. He has taught at Lincoln Center, LaGuardia Community College, SUNY New Paltz, Rutgers University and the National Guitar Workshop. Dempsey’s trio here is relatively unique; he’s backed by Ron Oswanski on organ, and Alvin Atkinson on drums. During his earlier years, Dempsey often worked at New York City clubs that used Hammond B3 organ groups, and he loved the sound of the guitar/organ combo. You’ll appreciate it as well, while listening to this album. The delicate touch that Oswanski achieves never overwhelms Dempsey’s guitar, instead filling in the musical “nooks and crannies” in the various arrangements. Dempsey composed half of these 10 compositions; the rest are by other artists. “Bock to Bock” is a Buddy Montgomery tune; “Bridge Over Troubled Water” comes from Paul Simon; Lee Morgan composed “Ceora”; Bobby Sherwood wrote “My Secret Love”; and “One Hundred Ways” comes from Coleman/Wakefield/Wright. The entire menu is choice, and everything swings lightly and politely. I’ve always enjoyed great guitar, and I’m sure you’ll love this album.